Almost exactly a month ago I planted two little basil plants. They've grown a lot since then and have been sitting next to my front door anxiously awaiting the perfect recipe. Yesterday I got home from work and decided to finally put them to use. 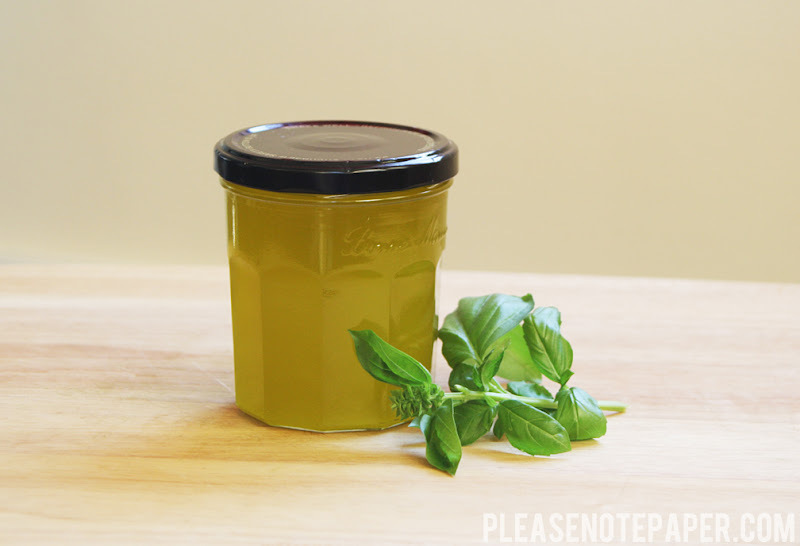 I found this basil infused oil recipe via Shutterbean and decided to give it a try because it was just too simple not to. Chop the basil. 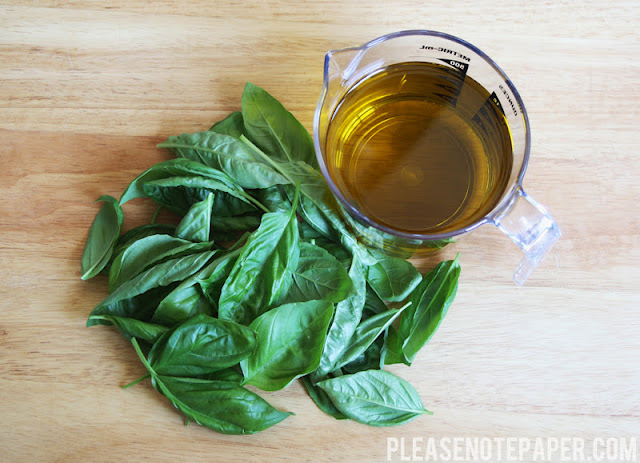 Combine the basil and the oil in a saucepan and heat over medium heat for 5 minutes. Remove the mixture from the heat and let the basil and oil steep for about 30 minutes. Strain the mixture into a jar. Keep the oil in an airtight container for up to one month. 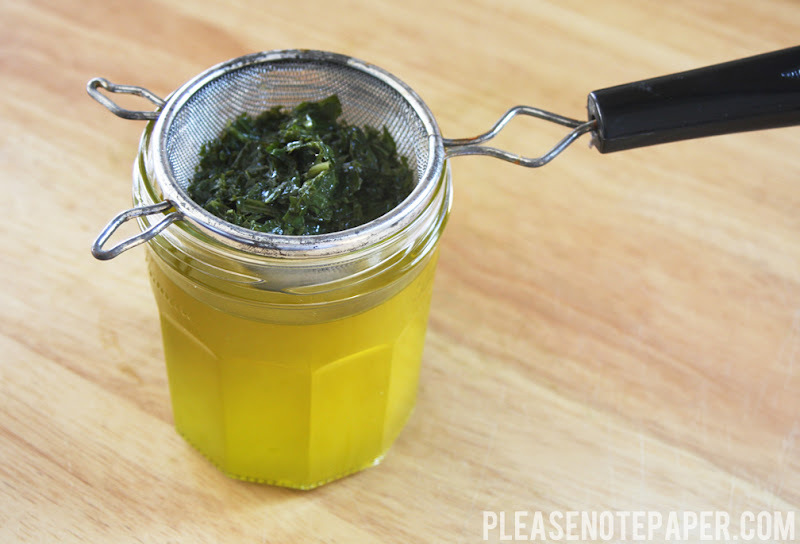 Try this oil on a salad or dip some bread in it! yum. such a good pairing. It really is! It goes well with just about anything! This sounds so simple & yummy! It sure is! I just used it to make a grilled cheese! You'll love it. It's so simple!